Open floor plan features living room, formal dining room w/french doors to backyard, updated granite kitchen & 1/2 bath on 1st floor. 3 Bedrooms & 1 bath upstairs including master w/WIC & direct access to hall bath. Full basement, CAC, Gas heat/cooking, detached 1 car garage & long driveway. 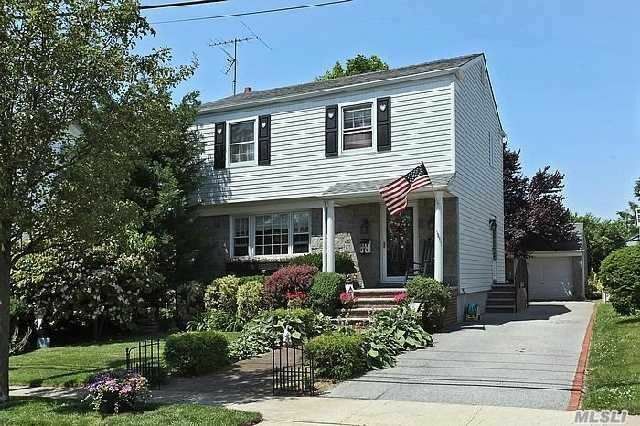 Inviting S/H Colonial perfectly convenient to the LIRR/Village shops and restaurants.